Hydrangeas offer their blossoms all summer long, in hues of white, pink or blue. Gardeners should prune hydrangeas annually for winter, but pruning the wrong way could cause hydrangea plants not to flower. Hydrangea macrophylla, whose blossoms turn blue or pink based on soil pH, cannot be pruned back to the ground for winter since it blooms on old wood, while other hydrangeas can be drastically pruned and bloom fine. Prune your hydrangea for winter in the early fall when blooms have passed for the season; choose your pruning method based on your type of hydrangea. Locate dead or diseased branches on your hydrangea, which need to be removed each year for the overall health of the hydrangea. Diseased branches will have discoloration, scarring or wounds on the twigs or foliage, while dead branches will be brittle. Clip dead and diseased branches off at their base using anvil pruners. In between each cut, spray your pruners with disinfectant to prevent spreading disease to other limbs. Cut back one-third of the old stems on your hydrangea to rejuvenate the plant for the following spring. The Hydrangeas Hydrangeas website recommends doing this only for plants that are at least 5 years old. Prune your hydrangea back to the ground only if you are sure your hydrangea blooms on new growth, not old growth. 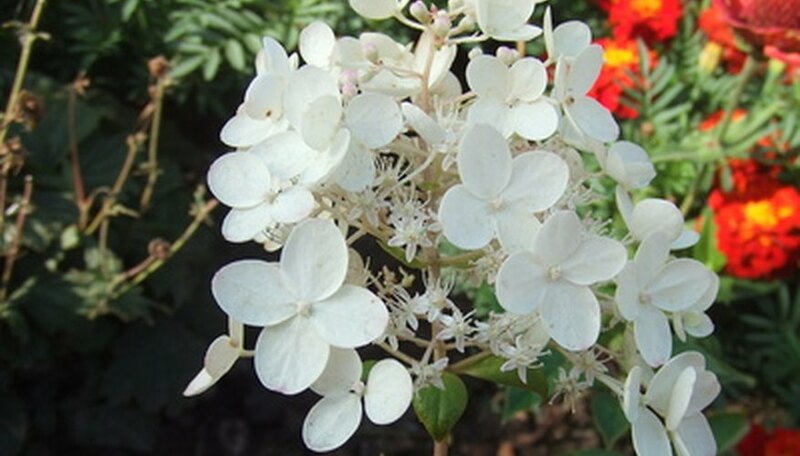 Hydrangea arborescens and Hydrangea paniculata are two common hydrangea types that can be cut back each year in the fall, leaving only a few inches above ground. Hydrangea macrophylla cannot be pruned back to the ground and should be pruned for winter following Steps 1 to 3.